Selling your home is one of the most important financial transactions in many people’s lives. So, clearly it matters who you choose to list and market your property. All real estate agents may be licensed; however, their experience, knowledge and accuracy of strategic advice can often vary widely. As a local professional, Mary knows the unique neighborhoods in the Puget Sound area, school districts, local market conditions, zoning regulations, architectural styles, finishes, landscaping design and the other related factors and nuances that can influence sales appeal and impact your marketing success. Establishing an accurate fair market value of your home is crucial in your success of the selling process. The reason why it’s imperative to avoid overpricing your home is simple. It won’t sell! There is no marketing plan, glossy sales brochure, compelling staging or professional photography that can overcome an unrealistically high asking price. The process of selling a home is often an emotional experience for sellers. Successful sellers are those who can step back and objectively see their home through the lens of buyers. Because, often what your home means to you, or what you imagine it to be, must be compared with the competitive world of the market. For many homeowners, this emotional struggle becomes most apparent in the pricing of their home. An honest, knowledgeable agent will advise you that the marketplace doesn’t care how much you paid for it or how much you may love it …nor will the market overpay for certain types of upgrades or remodels that may be too taste specific. All buyers care about is paying fair market value for any home. So, it’s imperative that your broker be completely transparent and honest in giving their opinion of your homes current market value. An experienced professional who will tell you the truth…not what you may want to hear. Generating an accurate CMA requires a thorough knowledge of the dynamics of property sales in a specific area to make correct judgments and adjustments based on the data presented. There are many complex variables, such as property size and location, floor plan, finishes, condition and neighborhood specific details that an agent will have to consider before calculating their current CMA valuation. Yet as an experienced broker, I continually hear buyers and sellers referring to Zestimate or other AVM numbers as though the site is some kind of “magic 8 ball” of accurate home pricing valuation. Zillow continues to make efforts to refine the accuracy of Zestimate, but let’s take a closer look at their admitted current error rates and history. According to Zillow, “Zestimate is currently inaccurate by more than 5% of the sales price, 50% of the time.” They also give estimates for the percentages of time that Zestimate is inaccurate by 10% and 20%. Let’s look at a real-life example. A few years ago, Zillow CEO Spencer Rascoff sold his Seattle area home for $1.05 million, which was 40% less than the Zestimate value of $1.75 million shown on the Zillow property page only a day earlier! Does that sound like an error rate that would be acceptable to you buying or selling a property in Seattle? While that may be an extreme example of Zestimate’s inaccuracies, it’s fair to ask yourself, “What home valuation error rate would I consider to be acceptable?…, +/- 5%, 10% or 15%?” Your answer would likely be “none of them!” Any of which would, potentially, represent a costly mistake. Zillow also states that luxury home Zestimates are more likely to be off than others, due to “non-quantifiable facts.” In other words, their error rate increases even more with higher priced, luxury homes. This is Zillow’s way of saying that computer software cannot walk into your home and see the architectural design, floor plan or upgrades that make it unique. I’m sure you would agree that underpricing or overpricing your home would be a costly mistake. To realize marketing or negotiation success, it’s imperative to establish an accurate valuation of any property. To be fair, agents can also make mistakes in attempting to quantify CMA valuations, as well. It’s unrealistic to expect an inexperienced agent to replicate the accuracy of an experienced, knowledgeable broker in accessing the complex data and intuition that can be involved in generating an accurate CMA (current market analysis). The person you choose for representation matters. Compass will cover the upfront costs that can increase your homes selling price! Investing in physical improvements to a home can dramatically increase its sale price, but for many clients affording the recommended improvements can be a financial hardship. Compass Concierge now enables Mary Pong to offer you a simple no-cost solution! MP Group and Mary Pong will design a marketing strategy that is specifically tailored to maximize the sales success of your individual home…because no two real estate transactions are the same. You will benefit from her many years of experience in advising you of optional strategies that can both maximize the appeal of your property and increase the ultimate sales price. Mary’s listings stand out from the competition for many reasons…the high definition professional photography, impactful actual and virtual staging, elegant sales brochures and unsurpassed marketing exposure. The fact is that not all agents can offer you the same types of marketing platforms and sales efforts. In addition to local and national listing services such as MLS & Zillow, etc., you will benefit from social media ads, international marketing exposure and Mary’s bi-lingual language skills. The Chinese real estate purchasing power in the Seattle area is significant. Her Chinese and fluent English language skills benefit her seller clients, as she can effectively advertise your properties in more than just local marketing platforms. She can also communicate effectively with Chinese buyers and their agents. This marketing advantage clearly benefits her seller clients, as it significantly expands the pool of buyers for their properties. 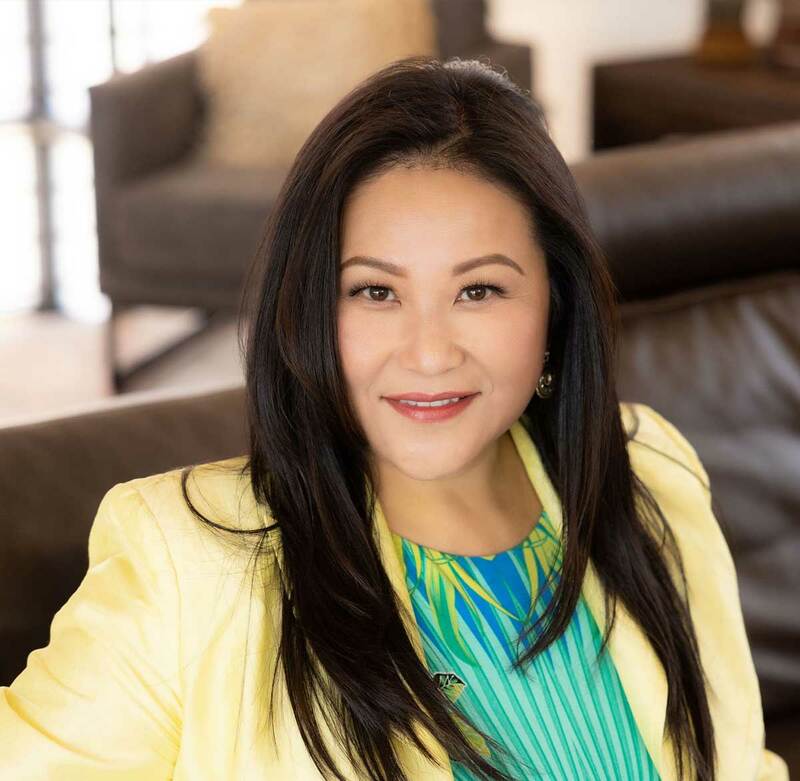 When you choose Mary Pong as your representation, she will make a commitment to work with you personally through the entire sales process…from the early stages of evaluation, to listing your home, marketing strategies, negotiations, sales contingencies and closing. You will never be passed off to a less experienced agent.